Boasting sixty of the most coveted islands in the world; a yacht charter to the British Virgin Islands is always beckoning on the horizon for sophisticated sailors. Cleaved neatly into two long island chains by the Sir Francis Drake Chanel, these soft Caribbean waters are home to some of the finest names in the yachting world. From the beloved baths of the Virgin Gorda to the scenester capital of jostling Jost Van Dyke – the BVI boasts so much to write home about. Charter guests seeking a whirlwind of grottos, poste child beaches, and some potent cocktails to end the day – the British Virgin Islands could be just what the doctor ordered. There’s only one way to discover the wonders of the British Virgin Islands – by superyacht. With no direct flights from the USA and Europe, the BVI remains an elusive little gem. These parts were made for pure, unrefined sailing – miles upon miles of blue, sweet trade winds, and perfectly formed pockets of civilization for wining and dining along the way. From the boulder strewn beauty of the Virgin Gorda’s Baths to the classic Caribbean sugar spun fantasy of White Bay on Jost Van Dyke, there is a beach for every mood in the British Virgin Islands. 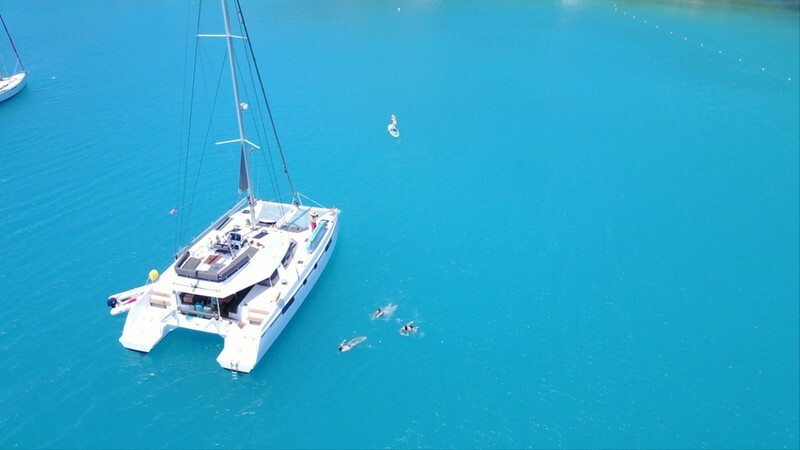 Aboard your yacht charter you will have the chance to drop anchor and swim in every shade of blue imaginable. Life truly is a beach in this part of the world and all your R&R will ebb and flow around the water. Celebrity sightings are commonplace when chartering a yacht around the British Virgin Islands. Billionaires, CEO’s, and Hollywood A-listers are forever fond of flocking to these shores Nearby bizarre billionaire stronghold, Necker Island, is also owned by Richard Branson. Instead of paracetamol in a bottle, the resident Painkiller on the British Virgin Islands is a hedonistic cocktail concoction. Aptly named – Painkiller, the generous glugs of rum and coconut cream go down a treat – whether as a sunset downer or as hair of the dog the very next day. The tiny island of Jost Van Dyke may stretch only a short 4 square miles but boasts plenty of personality to keep you entertained. This is the yacht charter home for those wanting a good time on the British Virgin Islands. The Soggy Dollar Bar is the go to zone for those wanting to taste the infamous Painkiller cocktail -and when the stars come up there is plenty of dancing on tables. During the calm blue bliss of the day you can dive around the depths of Mercurious Rocks. The Virgin Gorda is a place of dreams – especially when you make space on your yacht charter itinerary to visit The Baths. Hailed as one of the best beaches in the whole of the Caribbean, The Baths offers a fairytale scene of smooth granite boulders laced with ropes and walkways across limpid pools of turquoise – perfect for wallowing. Take the tender to shore, explore the grottos, and then sail along the shore to the Bitter End Yacht Club for an hour or two of perfect pampering at the spa. 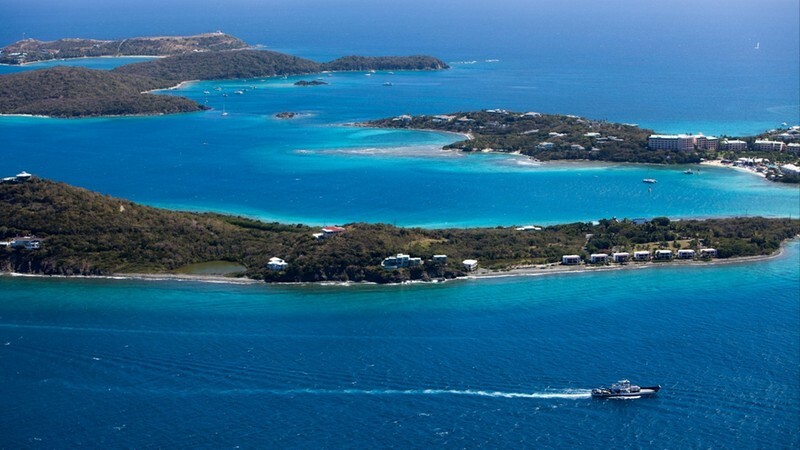 Tortola is often the spot where yacht charters around the British Virgin Islands get started. The allure of dark green jungle, white sands, and colorful Caribbean flair is the ultimate welcome. Head straight for the hustle of Road Town, take a surfing lesson along the white peak shore or attend one of the famed full moon parties. With the majority of the British Virgin Islands population lining up on these shores, you can be sure that Tortola is where the action is. Richard Branson’s hedonistic island is hard to get on to, but if you flash enough cash or have a super sophisticated yacht charter you may just score an invite. 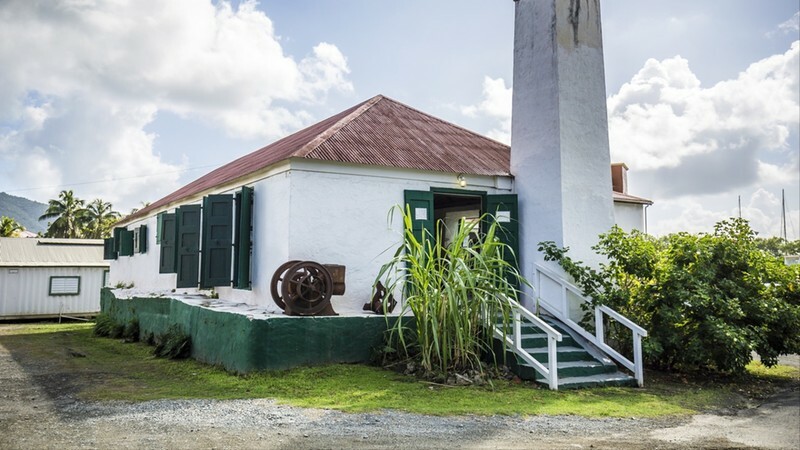 While the island suffered extensive damage in the during storm Irma, work is underway, and the island is set to open October 2018. The private paradise is all about the play with beautiful Balinese style buildings, a hundred staff to attend to your every whim and desire, and elite parties studded with celebrities. The British Virgin Islands requires finding that sweet spot between the hurricane threat and the summer crush. The best time to charter a yacht in the British Virgin Islands has to be between September and November when the season is in a sublime lull before the holiday season. Divers should be sure to visit outside of the summer months as the water visibility change from crystal clear to cloudy.